In a historic move aimed at making wildlife management both more ethical and more consistent with natural systems, lawmakers in California have approved a measure banning wildlife-killing contests - becoming the first state in the nation to do so. The new rule, approved on Wednesday by the California Fish and Game Commission, makes it unlawful to offer "prizes, inducements or rewards" for the killing of predatory animals in hunting tournaments, contests and derbies. 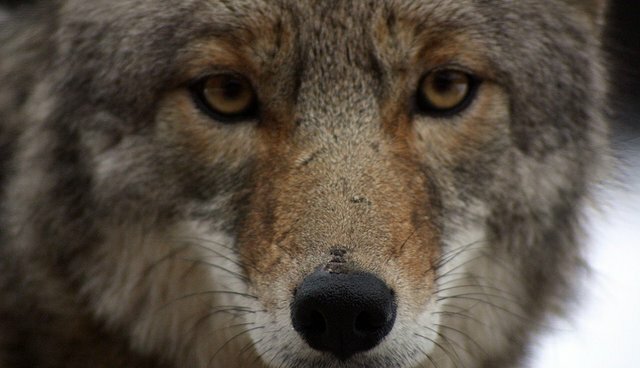 "Most people are shocked to learn that it is legal to kill coyotes, foxes, bobcats and other wildlife as part of a tournament for prizes and recreational fun," Camilla Fox, from the conservation group Project Coyote, told the San Francisco Chronicle. "They're even more shocked to learn that thousands of such contests take place each year in the U.S., killing tens of thousands of wild animals." According to the Commission, such contests have been hosted throughout California for years, though often under the radar. Organizers of one of the state's largest wildlife-killing contests, the annual Big Valley Coyote Drive in the town of Aiden, had reportedly worked to keep the event a secret from non-participants. Supporters of these contests, in which hunters race to kill as many animals as possible within a given time frame, had argued that they were helpful in reducing the number of "nuisance" predators that might prey on livestock (a tactic that recent research suggests doesn't work anyway). Opponents, however, say incentivizing the killing of animals is no longer acceptable. "Awarding prizes for wildlife-killing contests is both unethical and inconsistent with our current understanding of natural systems," said Michael Sutton, president of the California Fish and Game Commission. "Such contests are an anachronism and have no place in modern wildlife management."